A big “Thanks” to Joan Trice and the Allterra Group for holding another great Valuation Expo. This year was the 15-year anniversary and the Expo did not disappoint! 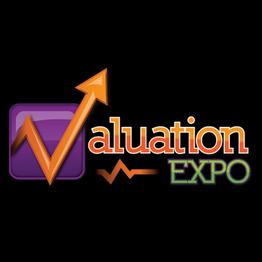 I had the opportunity to speak at the recent Valuation Expo held in Las Vegas. My talk was called “Everyday Compliance Items and Your Appraisal Business” and focused on issues related to federal, state, and client rules, regulations, and expectations. The main thrust was to examine how we can handle all of these so-called “laundry list” of items efficiently and effectively in our day-to-day work. At one point, I discussed unacceptable “stips” (aka, revision requests) from clients, and shared that I had once been told by a client to “remove time/date adjustments – we do not allow them”. It elicited a groan from the group (we all know a client can’t tell us that!) and I went on to tell them that I persisted and the adjustment remained in my report, by referring the client back to the support, analysis, logic, etc. already in the report and by explaining the multiple sources that supported my including adjustments. Afterward, I did have an appraiser attendee ask me, “Couldn’t the client ask you to remove it if it wasn’t appropriate?” He brought up an important point: of course we shouldn’t include time/date (aka market condition) adjustments if they are not supported, but in this case, I had ample data – which was detailed and analyzed in the report. It was for time reasons that I didn’t get into all the details during my talk at the Expo, but I did want to share the specifics behind the request, because I suspect I am not the only appraiser who has been asked to make similar changes to reports. Below is the article I wrote a few months ago in the April 2014 edition of Appraisal Today regarding this incident, and how I was able to insist that my report remain as delivered (with the already-included support) and to still retain my client. Take a look and let me know your thoughts. This entry was posted on July 8, 2014	and is filed under Appraisal, Appraiser, Appraiser's Guide, Attorneys, Education, Events and Classes, Homeowner. Written by: Josh+. You can follow any responses to this entry through the RSS 2.0 feed. You can leave a response, or trackback from your own site.